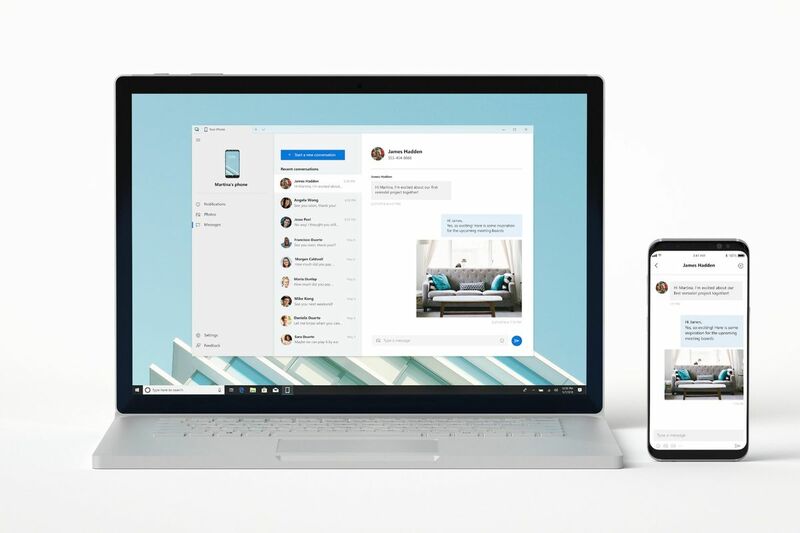 Microsoft announced a new Microsoft Your Phone app that connects your phone and PC and syncs everything to your phone. This new feature is available to only Windows Insiders for now. The Microsoft Build 2018 developers conference is all about Microsoft making the best use of Android and iOS for its own game. After losing it with the Windows phone, Microsoft is now releasing apps that will help in the synchronization between Android and iOS. Among the many new features is a new Microsoft Your Phone app, Windows Timeline for iOS via Edge and Windows Timeline for Android via the Microsoft Launcher for Android. As the name implies, the Microsoft Your Phone app synchronizes everything with your PC. Text messages, photos, notifications, files, you name it, and it is ready to be synchronized. This is extremely useful today when a person owns multiple devices, and when they run on different platforms. Hence the ability to drag and drop pictures and files from one’s phone to one’s computer all while the phone sits inside one’s pocket is a dream come true. The Microsoft Your Phone app will be made available officially soon. Windows Timeline is basically a very detailed history of your activity on PC. This can be pulled up and activities performed even before 30 days ago can be accessed. Not only information but also apps, files, and websites can also be seen and pulled up. On iOS, this feature can be accessed via the Microsoft Edge browser, as long as the PC and the browser is signed up with the same account. Now one might think, what about Android? Well, Microsoft has bigger plans for iOS. The same timeline feature that is available for iOS via the Edge browser can be accessed from the Windows Launcher. Though the date for the release of this feature was not announced, this feature has had everyone excited. This new feature will take the launcher’s capability to new heights.